Street chants and counterpoints go electric, with a trio that begins its inspiration from Moondog and proceeds towards their own personal exotica sounds and compositions through Robert Wyatt and Italian folk traditions. 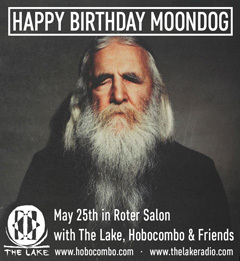 Hobocombo is a band dedicated to and inspired by the music of Moondog. Moondog Mask is an exotic trip through medieval canons, african rhythms, call & response blues. It brings together new arrangements of Moondog's music, traditional Italian folk songs with the field recordings by ethnomusicologis Roberto Leydi, the songwriting of Robert Wyatt and original compositions made during a cold winter stay on the Baltic sea. All condensed in a experimental, weird and elegant pop music world. Moondog Mask has been crafted by Obst und Gemuse studio in Berlin. It features musicians from the Berlin Echtzeitmusik scene and has been mastered by Doug Henderson (Antony & the Johnsons). Moondog Mask official release will be on November 4th 2013 on Trovarobato Parade, distributed by Audioglobe/Digitalea. 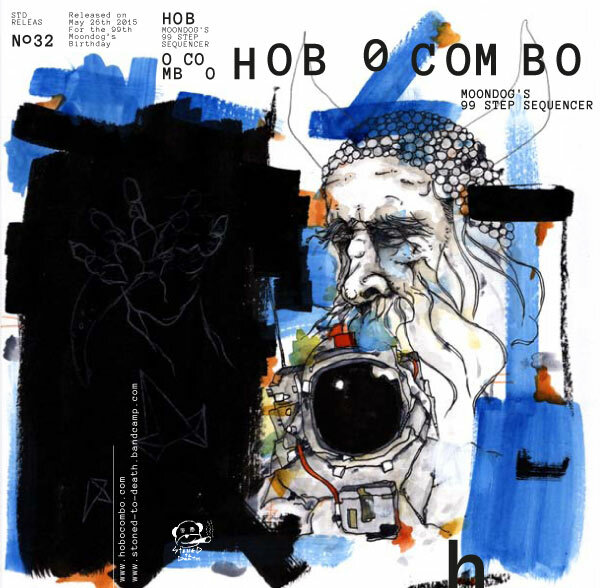 "second time around for the hobocombo folks to celebrate the incredible work of mr thomas hardin (moondog) while at the same time expressing their own voices in this kind of context - besides the robert wyatt cover, they split the remaining compositions between themselves and interpretations of that of their mentor. what I find here is a genuine dialogue making for very interesting sounds and feelings that I dig much. turning folks on to the the specialness of moondog while at the same time creating a very interesting world of their own is a very happening accomplishment so I holler bravo to hobocombo, bravo!" jun 20 Torino @ No Fest! 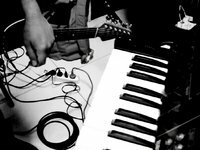 "This is no exploitation of Moondog’s heritage, but a fresh understanding what to do with these songs, Hobocombo’s way." "An album that negotiates the covers concept with a great degree of savvy"
"In fact it’s a delicate, charming and very engaging set of pieces, played with real compassion, gentleness, and attention to detail." "un caractère parfois médiéval […] et même quelques variations vocales qui semblent venir de je-ne-sais quelle tribu amérindienne." 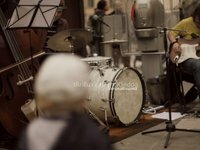 "un esordio discografico che combina assetto strumentale jazz e allegro spirito rock'n'roll, a cui si accodano echi caraibici e sapori del Morricone più messicano. E, sorpresa, il tutto suona elegantemente pop." "... Hobocombo são capazes de sintetizar com clareza e inspiração uma obra que ampliou os limites conceptuais da música e lhe deu novos horizontes"
Hobocombo - Bird's Lament - 2011 by Giovanni Bertani on Vimeo. Hobocombo @ VeronaRisuona 2010 by Giovanni Bertani on Vimeo. Less tv presents: Hobocombo "Stamping Ground" [Maps Session] - 2011 from Less tv on Vimeo.